If you have ever been to Detroit, there’s a good chance you have seen the Giant Uniroyal Tire located on the I-94 corridor, near the Detroit Metropolitan Airport. For past 50 years, this iconic symbol has represented the heritage of Uniroyal as a tire industry leader for over a century. 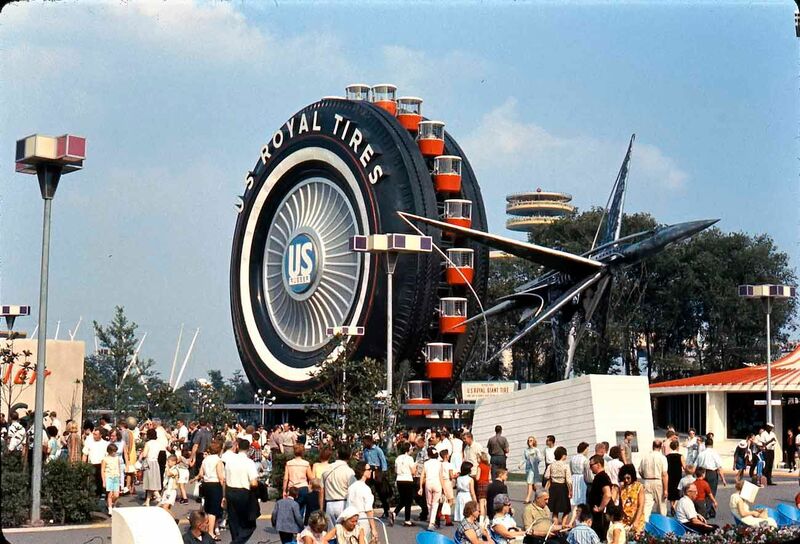 The Giant Uniroyal Tire was first constructed in 1964 to be a Ferris Wheel attraction for the New York World’s Fair. Powered by a 100 hp engine, the ride held 96 passengers at a time, and was enjoyed by over two million riders during the fair. Following the fair, Uniroyal moved the eight-story tire to a Uniroyal sales office in Allen Park, Michigan. With the ride portion removed, it was reassembled in four months and anchored in concrete and steel. While the Uniroyal sales office has since relocated, the Giant Uniroyal Tire has remained in this location. In the early 90’s, the Uniroyal Giant Tire received an updated look, including a new hubcap and neon lights for the UNIROYAL lettering. Toward the end of the 90’s, a giant 11-foot nail weighing 250 lbs was added to its tread to promote Uniroyal’s NailGard puncture resistant tire. The nail was retired in 2003 and donated to the city of Allen Park. It was sold at auction to raise funds for the Allen Park Historical Society programs and facilities. Raben Tire is proud to sell Uniroyal Tires. If you are in need of new, quality tires you can depend on, stop in and see us today!